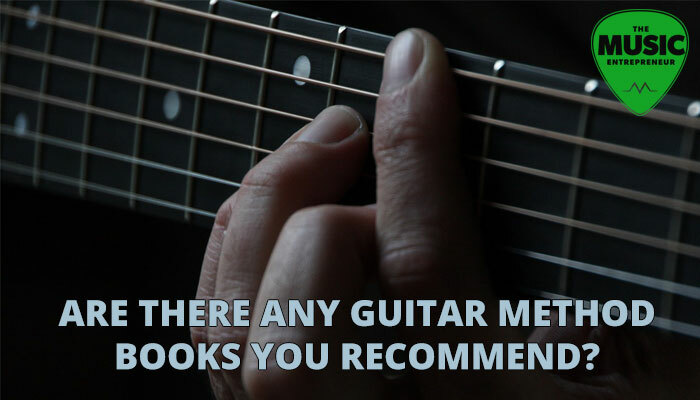 Are There Any Guitar Method Books You Recommend? This is perhaps the one of the most common questions I get with regards to guitar lessons and it is a loaded one. There are numerous factors to consider when it comes to picking the right guitar method books, and there are no easy answers. I’ve outlined some considerations below to keep in mind when you’re looking for a book to supplement your lessons. Here are four things you need to be thinking about when you’re trying to find the right book for your situation. The guitar is a complex instrument with many playing styles, techniques, and methods. There are few instruments as individual as guitar. So it stands to reason that the instrument can’t be fully explained or broken down in a single book. If you want to learn to read music, there are many books that do that. If you want to learn to play the Blues, there are many other books that cover that. Bottom line: determine an area that you would like to focus on and we can find the right method for you. You’ve probably heard that books are a great source of knowledge and a great way to learn. This is absolutely true. However, I’ve taken a look at many popular methods and they tend to contain a lot of traditional, classical, or canned royalty-free material. Not that there’s anything wrong with that, but my guess is that you didn’t get into music lessons to be bored to death with vaguely “familiar” songs. Music is about creativity and enjoyment. Most people would sooner learn their favorite song by AC/DC or Green Day before learning “Jingle Bells” out of season. A book can supplement a lesson plan nicely, but you may not necessarily want to make it your chief focus. The one exception is young kids: method books can help keep their focus during lessons and give them a trajectory to follow. I think this one is pretty obvious, and should not be a detraction in picking up a book. However, if there is no one to show you how it’s done, it can be easy to pick up bad habits or misinterpret what is being shown. Sometimes this is actually to your advantage in the sense that even if you’re playing it wrong, you’re actually practicing another aspect of playing that was never intended. At other times, this is a hindrance to your growth. Again, a book can supplement your lesson plan or ongoing learning, but it can’t provide you with physical demonstrations of proper technique like a teacher can. The best time to tackle a new book is when you have a solid foundation in the fundamentals. This assures that you are not frustrated with the material presented, because you are not ready for it. It may sound like I am panning books altogether, but I believe there are many good aspects to books. It’s good to know what you’re getting into before you take the leap and purchase a new book, however. With all this in mind, there are books I can recommend on a case-by-case basis, and I would be happy to after assessing your needs.